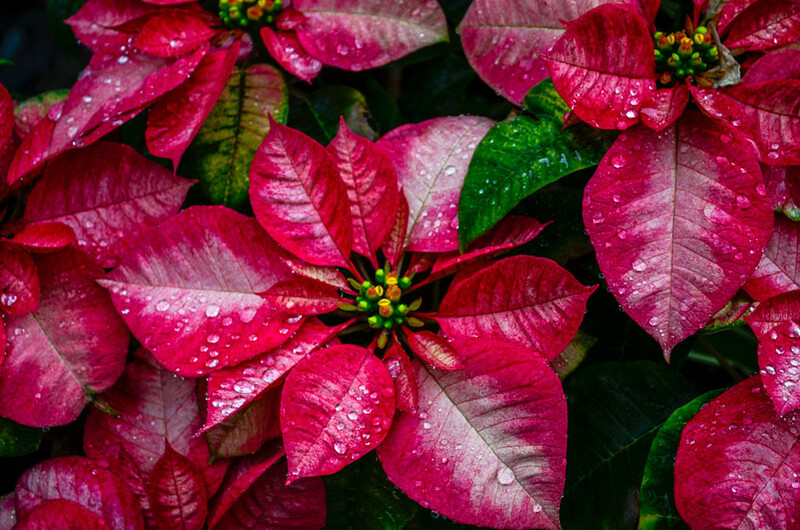 5 Plants That Make Great Holiday Gifts - Kauai Seascapes Nursery, Inc.
With Thanksgiving past and decorations sprouting everywhere, it’s safe to say that the holiday season is upon us. With this come parties, good cheer, and gift giving. If you’re looking to give a special gift this year, then one of the plants below could be the perfect thing (because really, no one wants another fruit cake or pair of candy cane underwear). As a special bonus, they’re all easy to grow and look great in a pot. Come along and learn what each of these special plants has to offer. To ensure it lasts through the whole of the holidays, pick one with little to no yellow pollen visible. Water the plant whenever its soil feels dry. Why It Makes A Great Gift: Beautiful, easy to care for, and fits well into holiday color schemes. 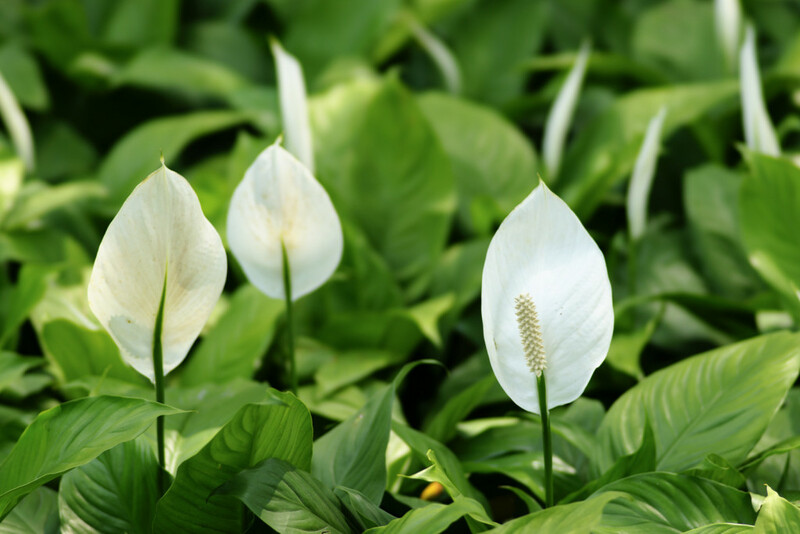 With a lovely name and an equally beautiful appearance, the peace lily looks at home in any garden no matter the time of year. Though not technically a true lily of the family Liliaceae, this plant is lovely nonetheless, drawing its name from the fact that its white spathe (the white parts that look like flowers) resembles the flag of surrender. Water it about once a week. Relax and admire it. It’s really that low-maintenance. Why It Makes A Great Gift: Looks lovely indoors or out, and its leaves will also “droop” when it needs to be watered. The poinsettia and peace lily are beautiful, but you wouldn’t want to put either of them anywhere near your mouth. This next plant, however, is attractive and tasty. Thought to be a cross between a “true” lemon and an orange, this plant originated in China and has a sweeter flavor and rounder shape than the lemons most of us are used to. Named for Frank Meyer, the USDA employee who brought them to the United States in 1908, the Meyer lemons you see today (and the ones the nursery sells) are technically “Improved Meyer Lemons.” Unlike their predecessors, they are resistant to the citrus tristeza virus. Trust me, though, they’re just as tasty. 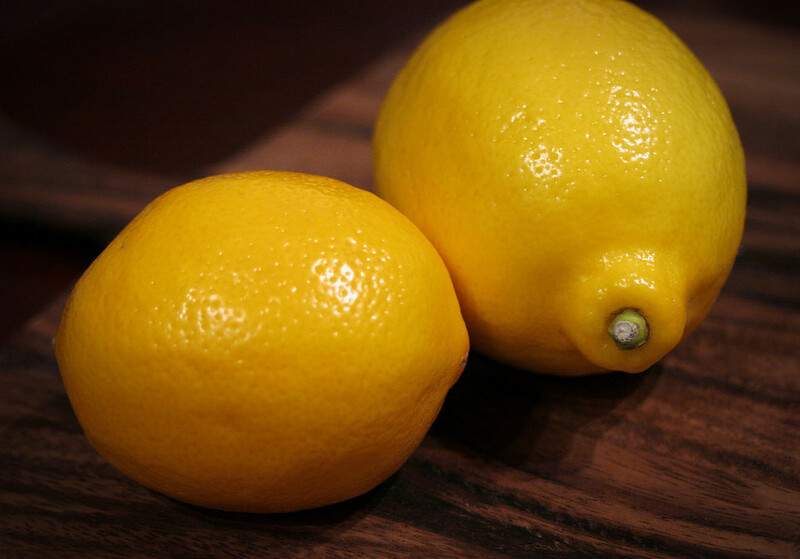 In general, you can substitute them for regular lemons, though bear in mind that they are less sour and acidic. Give it plenty of water. These trees are thirsty! Be patient. Trees should fruit within the first four years of growing. Why It Makes A Great Gift: Did I mention the lemon bars and sorbet? Continuing with the pattern of edible plants, the miracle berry is next. 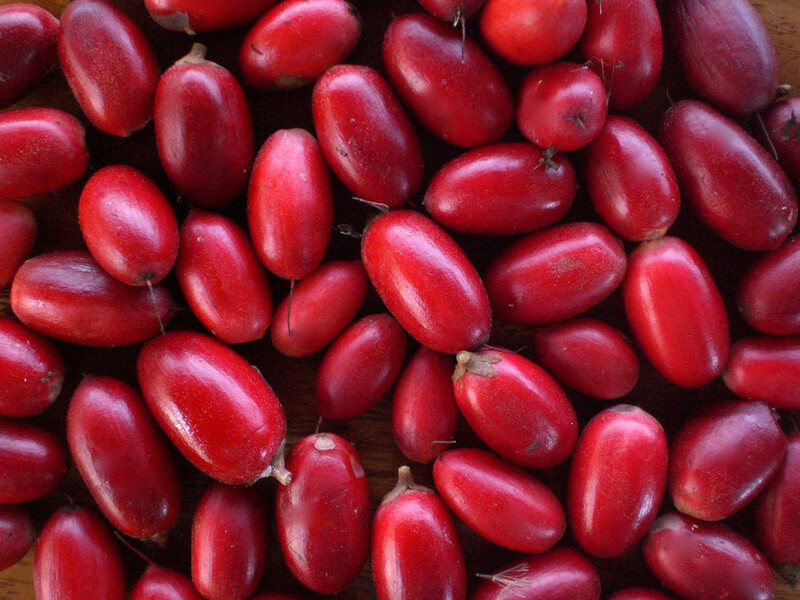 Also known as the “miracle fruit,” this berry has the curious effect of making sour and bitter foods taste sweet. Native to West Africa, the term “miracle” makes perfect sense, as does its species name, dulcificum (from the Latin word for “sweet”). According to an article from Scientific American, the miracle berry owes its flavor-shifting powers to a molecule called “miraculin,” which binds to the tongue’s taste buds for around 30 minutes or so. Scientists still aren’t sure exactly how this process works, but it sure is cool! While it’s fun to prank friends and family by eating the berry and then chomping on limes or drinking vinegar, consider hosting a “flavor-tripping” party to really take advantage of this berry’s unique effects. Like the Meyer lemon, the miracle berry does best in a warm, humid climate like Kauai’s. Why It Makes A Great Gift: Watching the shocked expressions on your friends’ faces as you bite into a raw lemon without flinching. We saved the most beautiful for last. Orchids are some of the most varied and ancient plants. In addition to their natural beauty, we can also thank them for giving us the vanilla flavoring we now take for granted, which was first cultivated by the Totonic people of what is now Mexico. 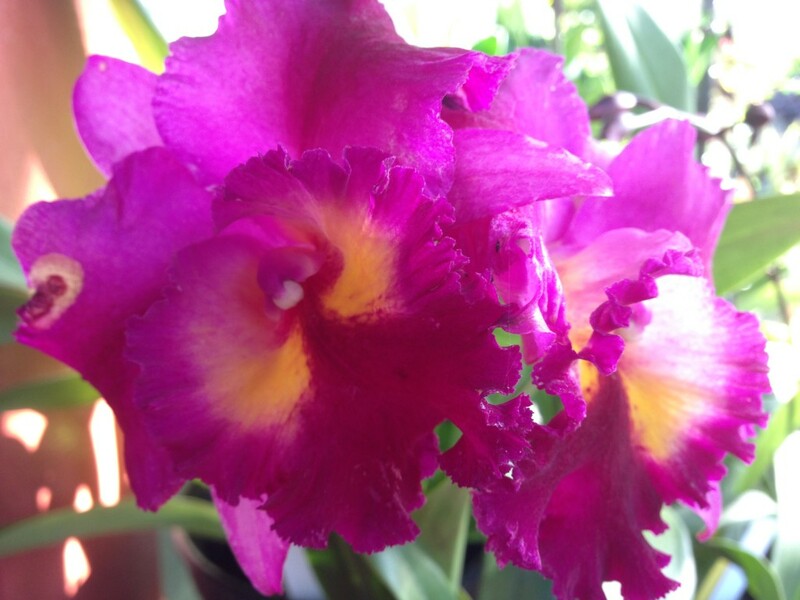 Orchids prefer filtered light, so place them near (but not directly in) a window if growing indoors. Water them 2-3 times a week, preferably early in the morning. Consider planting them in one of our Eco-pots, which last 3-5 years and are biodegradable. For a unique presentation, mount them on a tree, which is how they grow in the wild. Why It Makes A Great Gift: Look at them! They’re beautiful, elegant, and they smell amazing. Just ask a bee. We hope this guide has given you some holiday gift ideas that are a little different than the norm. If you have any questions you can always stop by the nursery; we’ll be happy to help you find the perfect plant gift. Be sure to keep your eye out for new tips and deals in 2016, and until then, aloha! We love your monthly newsletters. Thank you .